What a brilliant win by the West Coast Eagles in 2018!!! Can they do it again in 2019? Reminds us why we love the game so much! It’ll come as no surprise that the man behind Motive Travel, George Michalczyk, is a huge fan of both travelling the world and a great many sports. From horse racing to cricket to golf, our George laps them up, but there’s one sport in particular which really stirs his passion: Aussie Rules Football! He’s lived and breathed football from the day he was born, playing the sport from the moment he could pick up a ball. Throughout his life, he’s been an influential player, most notably as a link man, before hanging up his boots and turning to coaching new generations of players. What’s more, he’s a lifelong member of the East Perth Football Club, so it’s fair to say that George is a massive fan of the sport, first and foremost. George managed to combine his two passions when he joined Motive Travel, with AFL at the forefront of his new venture. 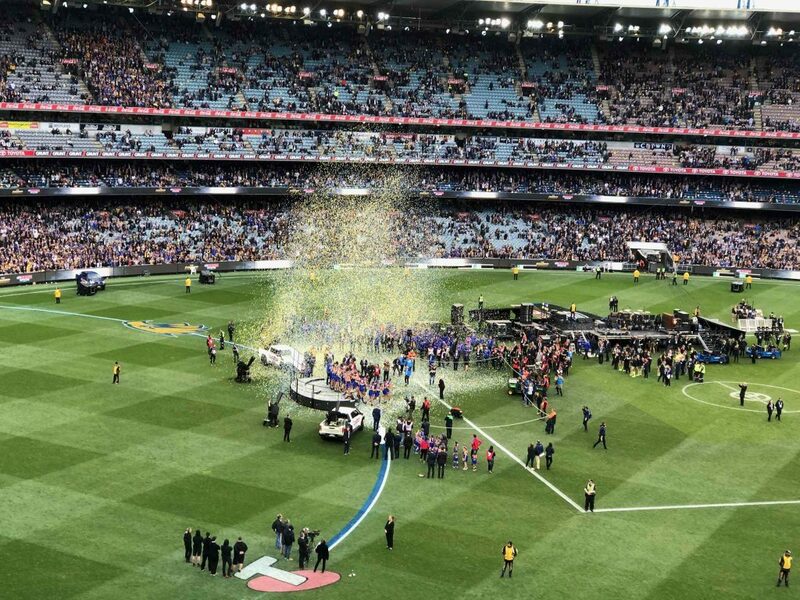 To this end, he’s been selling awesome packages to the AFL Grand Final for well over 40 years, and he himself has been to 42 consecutive finals – there aren’t many people in Australia who have been to more! George is not the only AFL guru on our block! Our Katrina has been organising AFL group packages for 30 years, and 25 of them have been with us at Motive. She’s a woman who knows what she is talking about, having seen a great raft of changes take place with how football tour packages have been arranged over the years. This means she’s the perfect person to organise your trip to Melbourne – she’s heard every story, and is very flexible to any situation and requirements! Taking the helm of our AFL travel booking ship this year is our bright, young travel star, Jessica Newman who, in her 5 years with Motive Travel, has shown herself to be a fantastic, capable travel consultant. Are you ready to make your booking?! 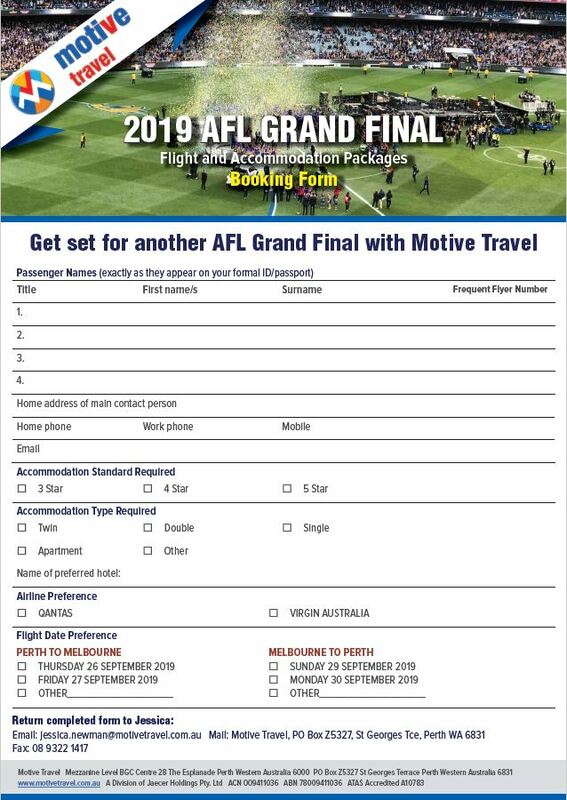 Click here for your printable 2019 AFL Grand Final flight and accommodation booking form! Unfortunately, tickets to the match itself can only be purchased through the AFL event office or an authorised on-seller, but don’t fret – we can help you organise these tickets if you like!